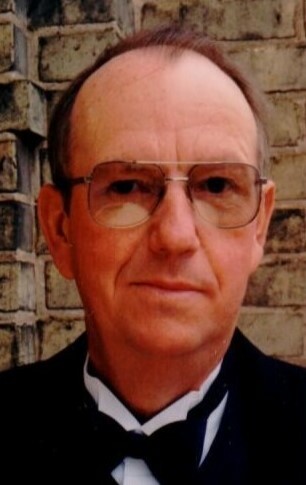 Robert W. Punzel, 72 of Jefferson, died on Friday, July 6, 2018 at his home. Bobby was born on December 18, 1945, in Watertown, WI, the son of Herbert and Lila (Helle) Punzel. He is a 1964 graduate of Jefferson High School and served his country in the Army National Guard, working with the 107th Light Maintenance Div. in Madison. On April 26, 1969, he married Linda Wright at St. John’s Ev. Lutheran Church. He worked for Stoppenbach’s Meat Packing for 38 years. He was a night owl, even on his off time, and was known to light the grill after 10:00PM. Bob loved pheasant hunting and German Shorthaired Pointers and often hunted with his son. The guys also took many trips to Canada to walleye fish and enjoyed dip netting for buffalo carp in the Rock River. In his younger years, Bob enjoyed the area dance halls and even played the tuba in the American Legion Band. He loved attending his grandchildren’s sporting events and especially enjoyed their band concerts. Bob was a good-hearted, generous man and he loved his family dearly. Bob was a lifelong and active member of St. John’s Ev. Lutheran Church, serving as usher for many years and his family is thankful to know that he is with his Heavenly Father. He is survived by: his Wife Linda Punzel of Jefferson; Son William (JoAnn) of Edgerton; Grandchildren Noah, Liam, and Katelyn; Sisters Shirley Lehman of Jefferson and Annamarie (Rick) Wagner of Shorewood, IL. Bob is also survived by a number of nieces, nephews, other relatives and many friends. Bob is preceded in death by his parents, and Brothers William and Eugene. The family would like to express a sincere thanks the staff of Rainbow Hospice for the outstanding care provided. A funeral service will be held at 11:00AM on Tuesday, July 10, 2018 at St. John’s Ev. Lutheran Church of Jefferson with Rev. Matt Krenke presiding. Visitation will be on Tuesday from 9:00AM until the time of service at the church. Burial will take place following the funeral at Ebenezer Moravian Cemetery of Watertown.